Okay history buffs, can anyone explaing the difference in California spec bikes visa vis the non-CA ones? This isn't a trick question - I really do not know. I think it's to do with emission controls. My blu duc ain't got no stinkin emissions. It'll probably feel right at home outside California. Nearly at 600, eh? How many do you reckon we can get to? Around 1000? Any idea how we are doing compared to other 'one model' groups, or are the figures too hard to find? Yes it is polution control, I have three Paso's and the California one has an extra hose coming from the top, I believe the cam cover. it has been awhile since I had that tank off to look there. My British model has none of that stuff plus no extra hole for the hose. It is also noticeably quicker. i removed all that junk from my bike a long time ago. My red 906 has 000199 serial, but both european and american vin-numbers... What the heck that vehicle might be, any ideas??? I now see the answer to question I have had for about a year. . . . I have an "uprated" 1992 red 907. After reading the posts above, does anyone have more information on the "uprated" versions that where made from the factory? 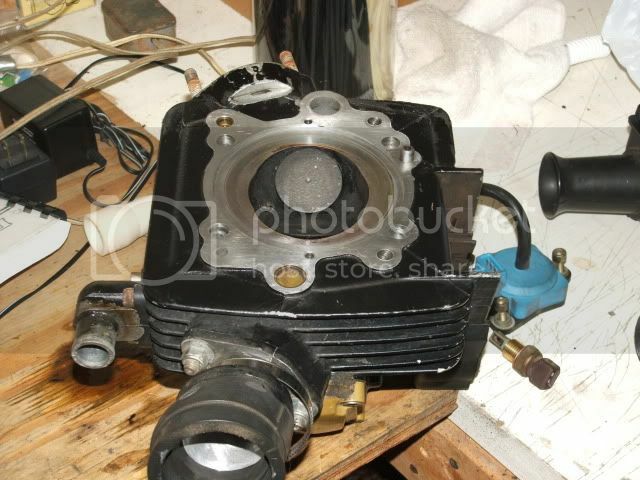 i think my 88 blue 750 paso must be a late production it,s frame # 754309 seems very high for the low production #,s. i am pretty sure cal,spec it has crankcase polution stuff & my wireing board looks more like a 906 with the digiplex ignition. The mechanic said that in all his years and bikes worked on, he had never seen a set of heads that look like these from the factory. From what I`ve read, there was some porting done. Not so very good job is the verdict. Hello all. 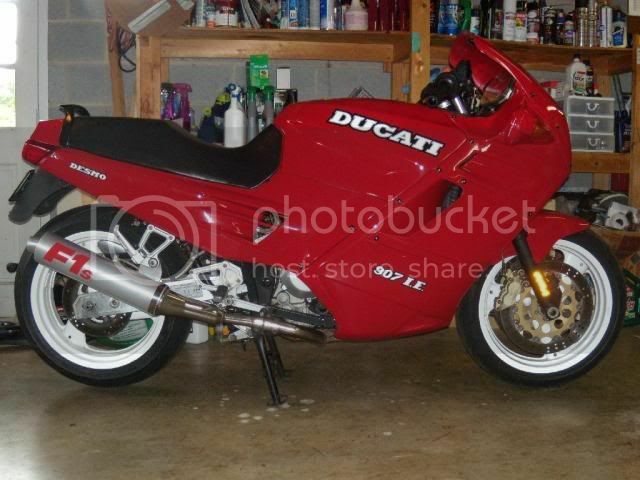 I have posted a while back, but on another DUCATIPASO.ORG page. Anyways, I recently bought (Apr. 2017) an 88 750 Paso. 33,000 and some change on milage. A ton of paperwork, title, and some history on all the upgrades like the Delorto carbs, Cobra slip ons, etc. One thing I am trying to get nailed down is the production number of my bike. Frame number ...753769. I have the 4 Gold valve caps. I believe the numbers were only 50 built. of the 50, mine also seems to be the Non Cal. US. Can anyone help me there. I live, and bought it in Texas. I am not sure, but was told it may have come shipped in Houston, where it was bought. Last time it was titled was 1997, and only 19 miles on it since, so yea... alot of work, but I have ridden it, howbeit around the block after cleaning tank, lines carbs, etc. Now... no go. Not sure if clutch, or master. I did some of what has been posted, now I have some good grab in the clutch lever, but still going almost nowhere. Some suggestions? would like to get it ready for some retro bike shows. Thanks, Robert. Robert, for technical issues please post in the P750 forum with some more details about what's wrong.